Viva La Salsa at Vienna City Accra on Wednesday's come and dance! 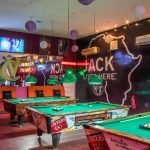 You are at:Home»Things to do in Accra»Viva La Salsa at Vienna City Accra on Wednesday’s come and dance! Viva La Salsa at Vienna City Accra on Wednesday’s come and dance! Its Wednesday in Accra, mid week you have managed to get through Monday and Tuesday swiftly. But getting over this hump day may need some extra help. 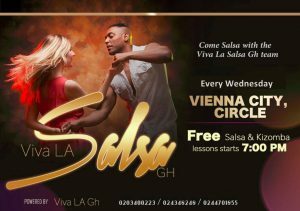 If you are looking for something to do on a Wednesday night in Accra why not try Viva La Salsa which takes place at Vienna City Circle. The lessons are Free and its a great way to meet people and start your weekend right in a great club and location. Viva La Salsa is also available on Saturdays. Kumasi City Mall is grabbing the attention Accra residents already!